Toys are a big part of life when a baby is growing. They can help them learn, develop and understand things. 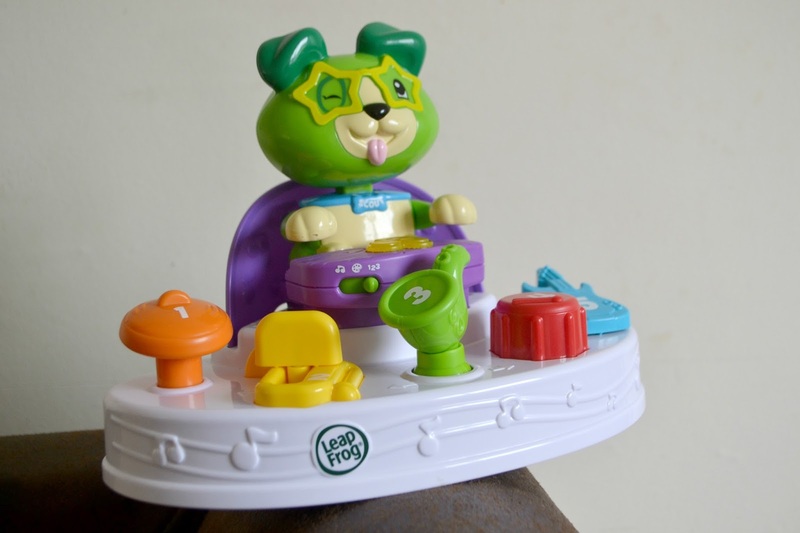 We already love Leap Frog so we knew that we would love Scout's Count and Colours Band. 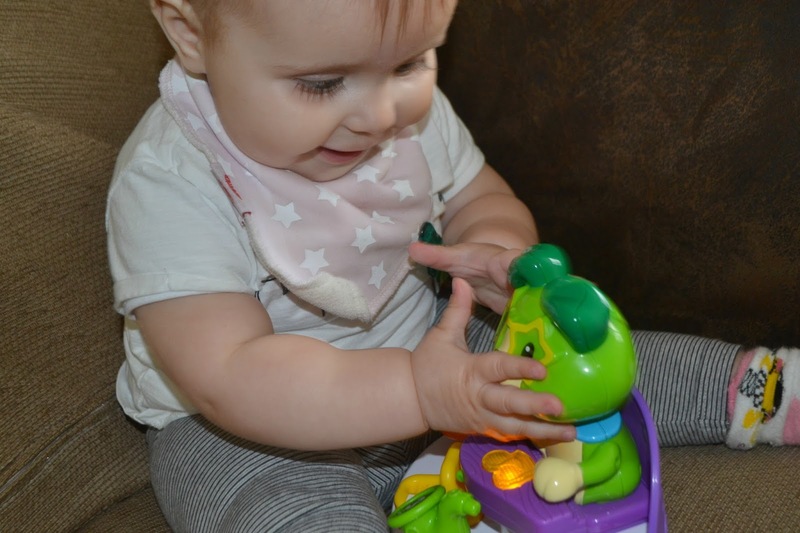 Scout's Count and Colours Band is a cute, colourful toy that is suitable from 6-24 months. 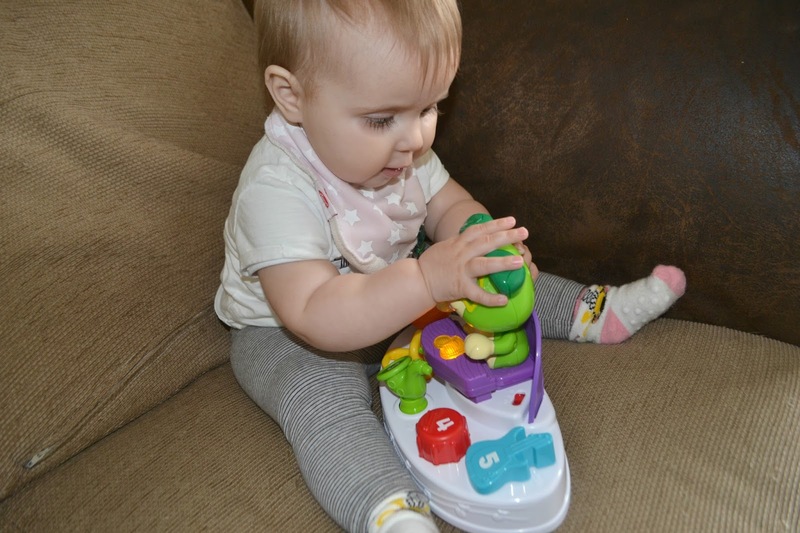 There are five different instruments which move to help develop fine motor skills. One small change I would make would be that the red drum twist all around rather than pushes down, just because the orange cymbal pushes down too. The guitar twists but only to the right so i think one that twisted the other way or all the way round would be better than another one that just pushed down. On each instrument there are numbers 1-5 which are great for when they become interested in learning the numbers written down. There are three different modes and depending which you pick different things happen. Harleigh loves the music one as then depending which instrument you press that genre of music will play. There is also a numbers and colours one. Scout also lights up and bops his head along with the music which Harleigh loves. The toy is also quite a nice size. Harleigh can pick it up and play with the toy by herself but it isn't too small that chubby baby hands struggle to play. She also likes to chew on Scouts ears, poor doggy! Learning toys are my favourite as a parent. This one in particular teaches cause and effect, colours and numbers. Even Parker likes playing with it and he is 3! A great little toy to add to the collection.